There are plenty of movie stars and celebrities who live in New York and California. Here is our compilation list of 5 celebrities that once called Macon home. The actor and writer, William H. Macy was born on March 13, 1950 in Miami, Florida, USA as William Hall Macy Jr. Macy's father was transferred to Macon when he was 2 and they lived in the Vineville area for several years until they moved to Decatur, Georgia. He is most well known for his roles in Fargo (1996), Jurassic Park III (2001), Air Force One (1997) and Shameless (2011). Born in Macon, Georgia in 1950, Hennings was the son of a traveling salesman. Hennings left Macon to pursue his career and has lived most of his career in New York City, San Francisco and Los Angeles. 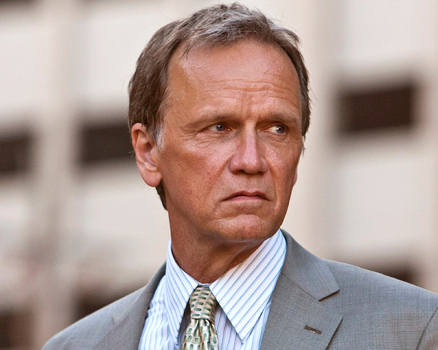 Hennings is known for numerous TV roles and guest appearances such as Star Trek: The Next Generation, Walker, Texas Ranger, E.R., CSI, JAG, Murder She Wrote, Alfred Hitchcock Presents, Saving Grace, and Memphis Beat. Hennings has also appeared in many feature length films, beginning with the TV movie On Our Own. He co-starred with Leonardo DiCaprio in The Aviator; Anne Hathaway in Havoc; Jon Hamm in Stolen; Lea Thompson in Ten Tricks; Wesley Snipes in Drop Zone; and John Travolta in Shout. Born the third of three boys to Mary Jo and Elmer Nixon, in Macon, Georgia, He played basketball and football in high school at Southwest High School and was named to all-state in both sports. In football he played defensive back and tailback, and was later offered afree agent tryout by both the Pittsburgh Steelers and Dallas Cowboys. He was senior class president and named as the starting guard on the Georgia All-State team for 1973, after leading Southwest to the 1973 state high school basketball championship under coach Donald "Duck" Richardson. Nixon went on to play professional basketball player for the NBA, and spent twelve seasons with the Los Angeles Lakers and the San Diego/Los Angeles Clippers. Nixon married actress/producer/director/dancer Debbie Allen in 1984 and has three children. Best known for his role in Beverly Hills Cop II, Eugene Butler was born in Macon Georgia. When Butler was a young boy, his mother and his 3 brothers moved to Seattle, WA and then to Los Angeles where his career flourished with numerous guest starring roles on television shows such as McGyver, Charlie's Angels and Simon & Simon. Butler is best known for his 1987 role in Beverly Hills Cop II starring Eddie Murphy. Jerry Pate was born in Macon, Georgia and went on to attend the University of Alabama, where he played for the Crimson Tide golf team. Pate had a distinguished amateur career where he won the U.S. Amateur in 1974, and the following year he was a member of victorious U.S. teams at the Walker Cup and the Eisenhower Trophy. Pate later served as a broadcast analyst for ABC, CBS and the BBC and set up a golf course design practice and a turf and irrigation company after starring in the 1996 film Tin Cup with Kevin Costner.